Share your Melbourne Cup Carnival experiences with those closest to you. The Club is pleased to offer you the opportunity to purchase Members Enclosure Daily Guest Passes for the Melbourne Cup Carnival. Tickets admit your guest to the racecourse and Members Enclosure - excluding Member Only areas. 2018/19 Financial Full, Life, Pre ’79 and Provisional Members are eligible to purchase up to four Members Enclosure Daily Guest Passes on all four days of the Melbourne Cup Carnival. Members Enclosure ticketing is required for guests of Members who are dining in Member dining venues including The Atrium, The Peak, The Byerley, Straight Six and the Members Dining Room. Guests on AAMI Victoria Derby Day and on Lexus Melbourne Cup Day must be international visitors and a photocopy of each guest’s passport is required. Restricted Member Cards and Restricted Guest Cards do not have access to the Members Enclosure on AAMI Victoria Derby Day and on Lexus Melbourne Cup Day. Full Members may purchase a maximum of four Members Enclosure Daily Guest Passes for each day of the 2018 Melbourne Cup Carnival. 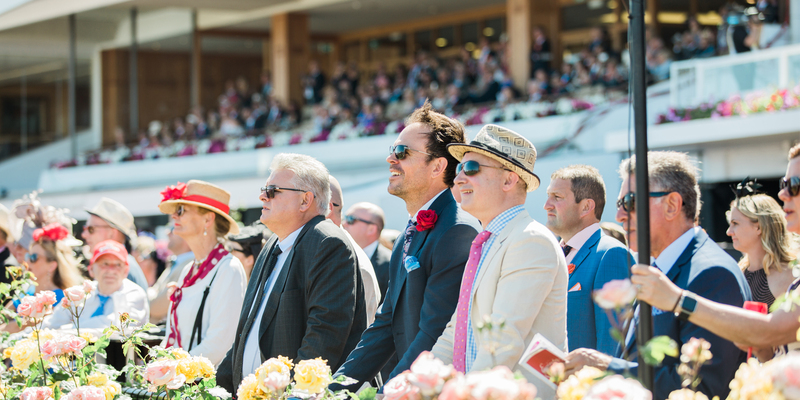 Restricted Members may purchase a maximum of four Members Enclosure Daily Guest Passes for Kennedy Oaks Day and on Stakes Day. Please note on Stakes Day, Members may also purchase up to four Junior Members Enclosure Daily Guest Passes. Application forms must be received by the VRC by Friday 12 October for passes to be return posted. For applications received after this time, passes will be held at VRC Head Office for collection prior to the raceday, collection is not available on a raceday. Members are reminded that they are responsible for the behaviour of their guests and the on-sale of tickets is strictly prohibited. The Club’s dress standards will be strictly enforced throughout the Melbourne Cup Carnival. To avoid inconvenience on raceday, please ensure that your attire, and that of your guests, is appropriate for the Members Enclosure. Not withstanding the dress standards outlined, the Club reserves the right to refuse entry to any person considered inappropriately attired. View the Members Enclosure dress regulations and share these with your guests prior to the raceday.